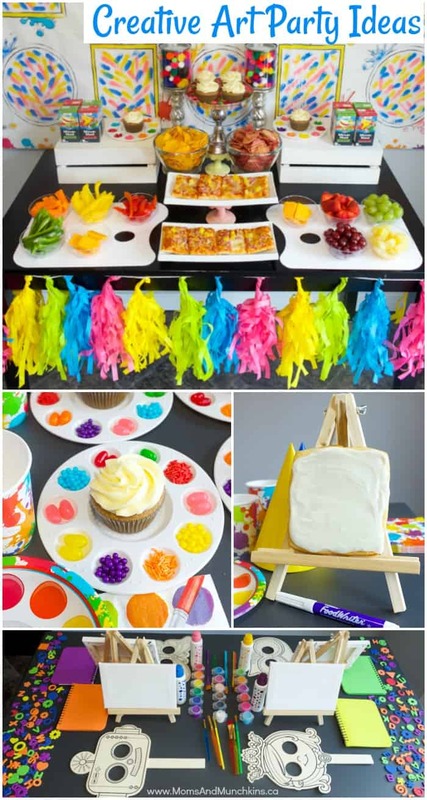 An art birthday party is such a popular party theme for kids because it gives them the opportunity to express their creativity. 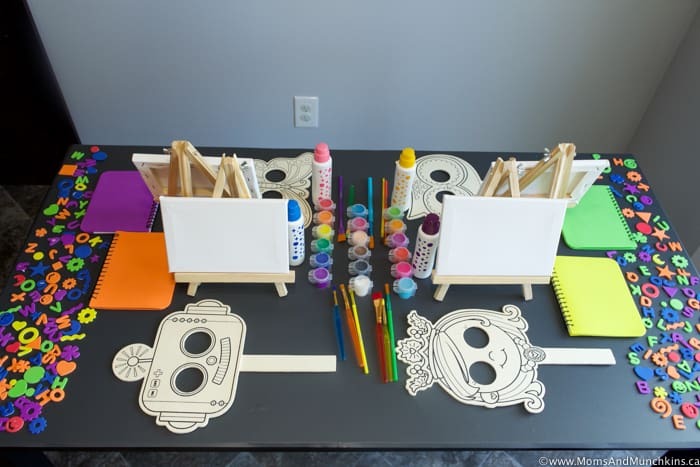 With so many different types of art, there is sure to be something of interest to every child at the party. 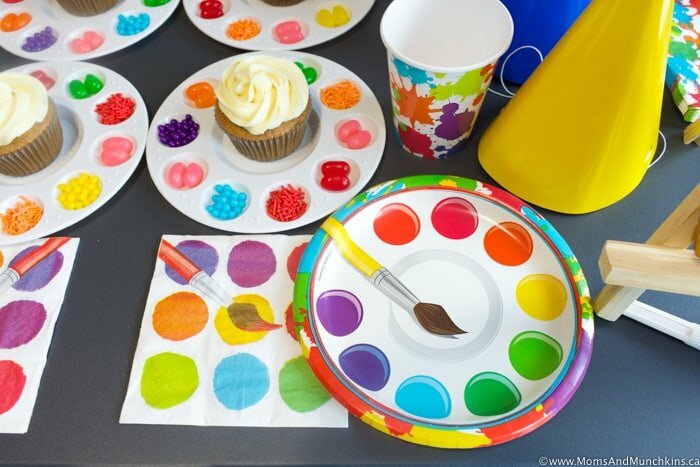 This is a great party theme for kids of all ages – the smallest guests can have fun with finger paint (parental supervision still required, of course) and the older kids could paint their own pottery pieces at a studio. 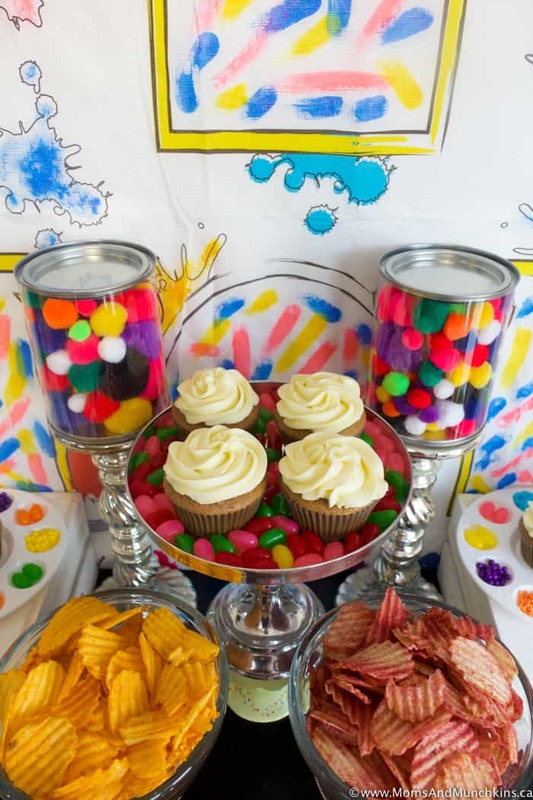 There’s no limit to your imagination with this party theme! 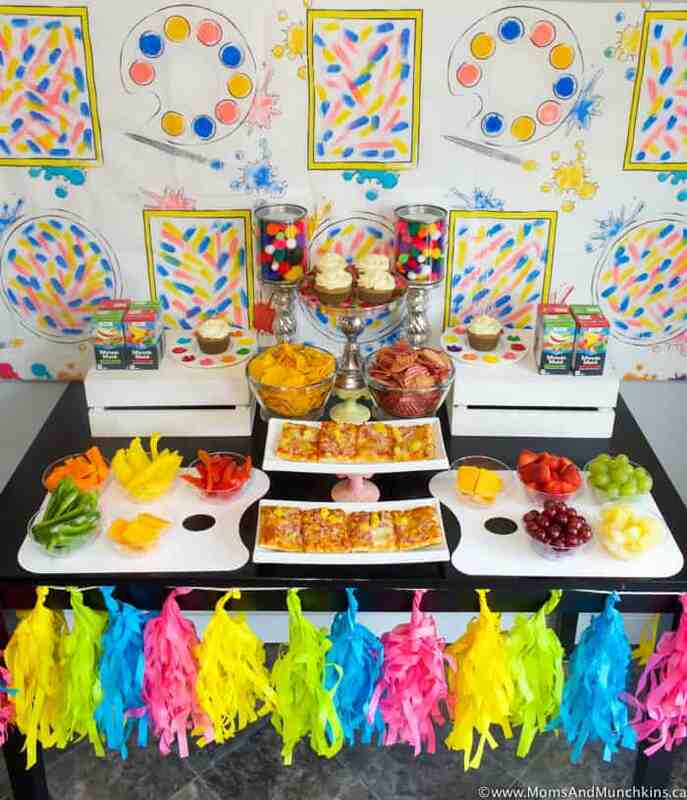 I created this party in partnership with Birthday In A Box so several of the party supplies you’ll see featured here are from their online store. 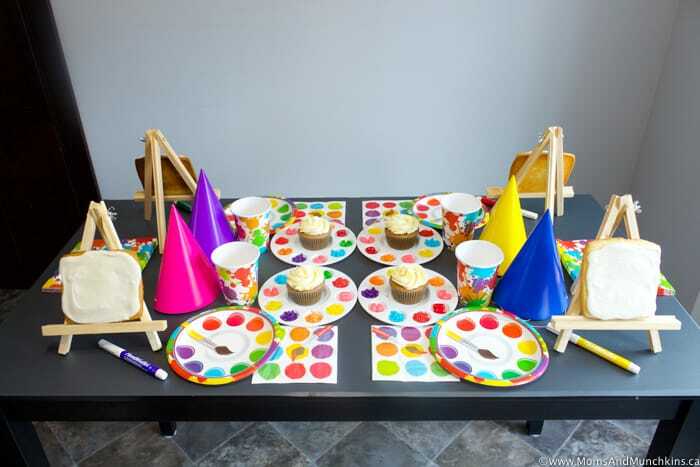 Visit the full Arts and Crafts Party post on their site for even more party details! 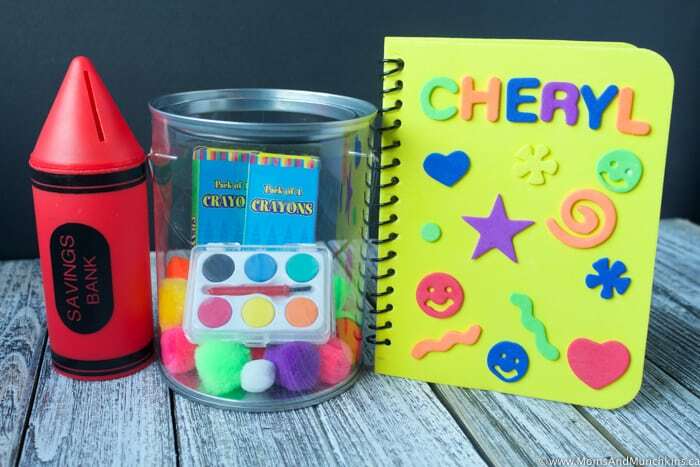 You could turn your invitations into a fun craft project and have your child design and create them. 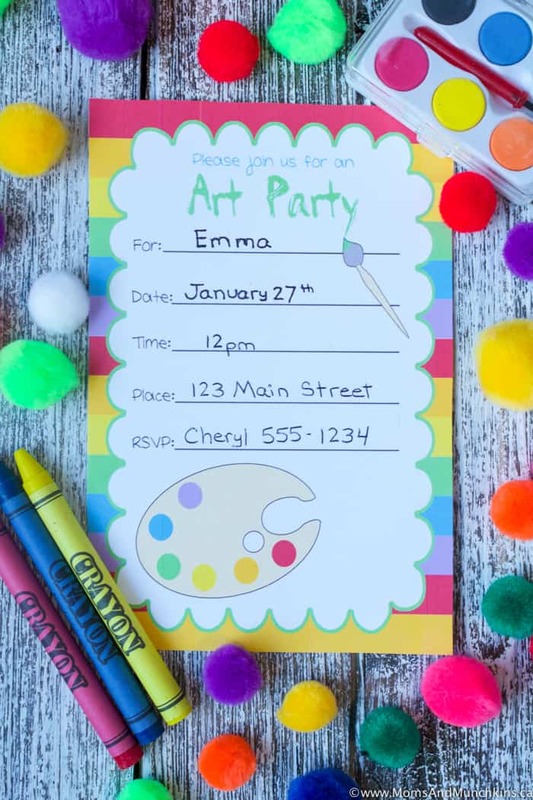 For an easier DIY idea, check out these free printable invitations. If your activity will be messy, you’ll want to let the guests know that they should wear clothes that they don’t mind getting a little dirty. 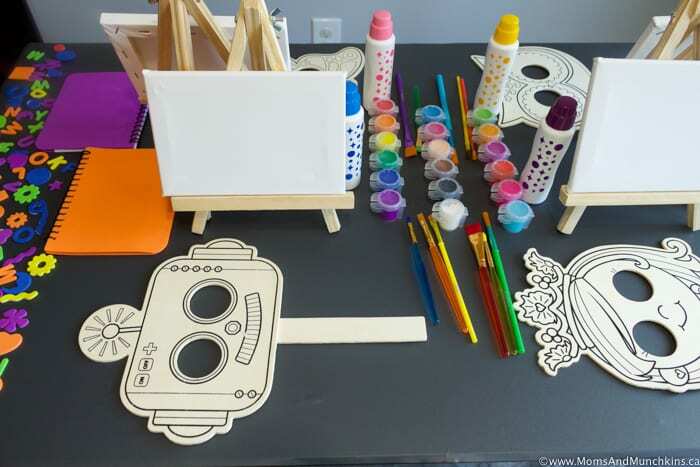 On each of the guests’ chairs, you could include an art apron personalized with an iron-on label with each child’s name. 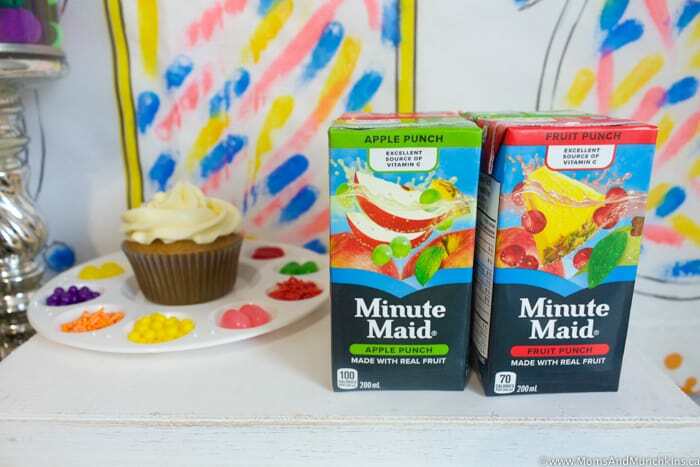 Iron-on labels are really easy to make with special iron-on paper made for at-home printer use. 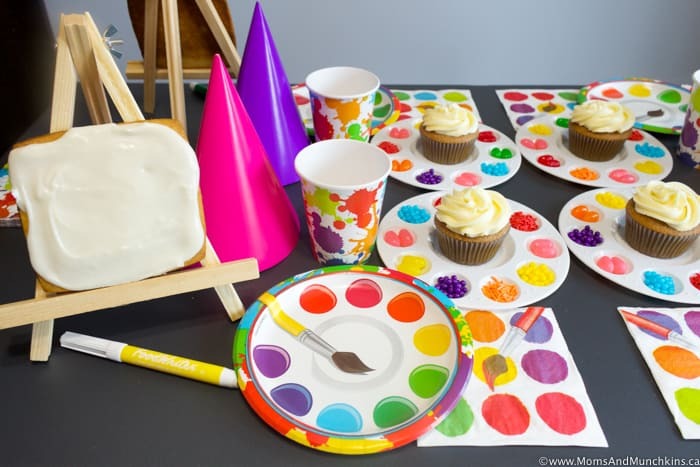 You may want to start the creative art portion of the party early so that the masterpieces have time to dry before the children take them home. 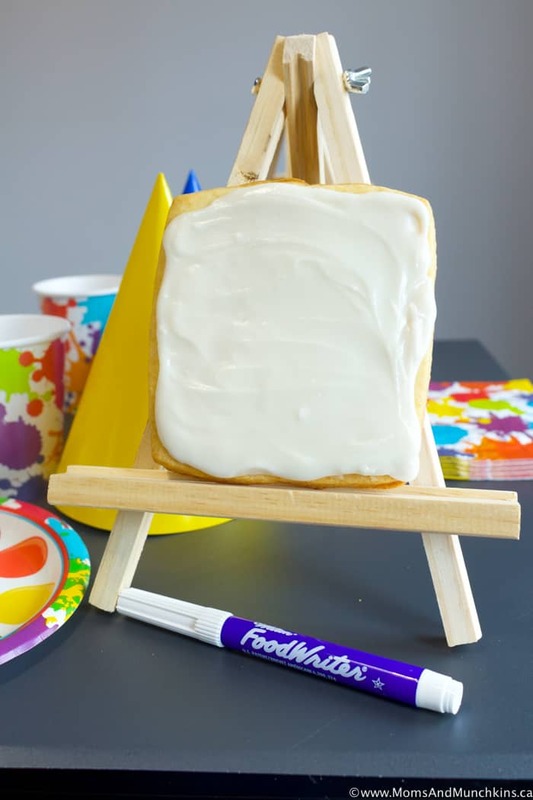 While you are waiting for the art to dry, a fun art-inspired game to play would be Pictionary. 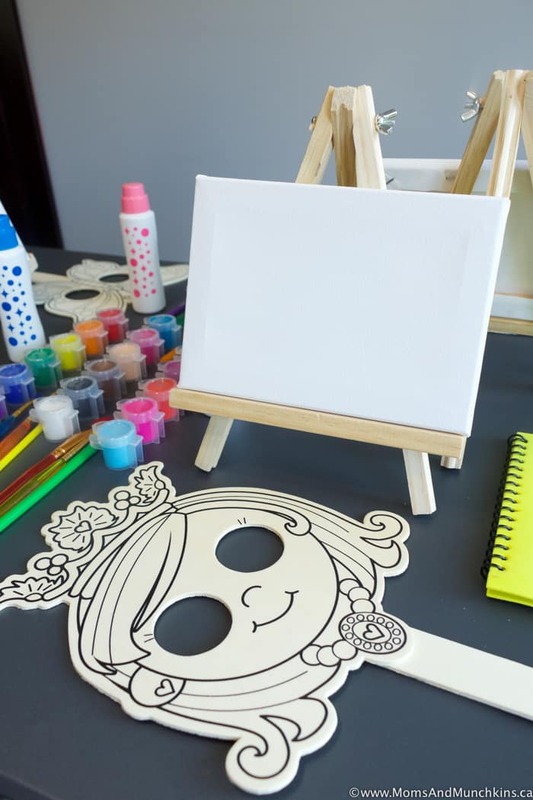 After all of the art pieces are complete, you can host a mini art show where the children have an opportunity to showcase their talent. 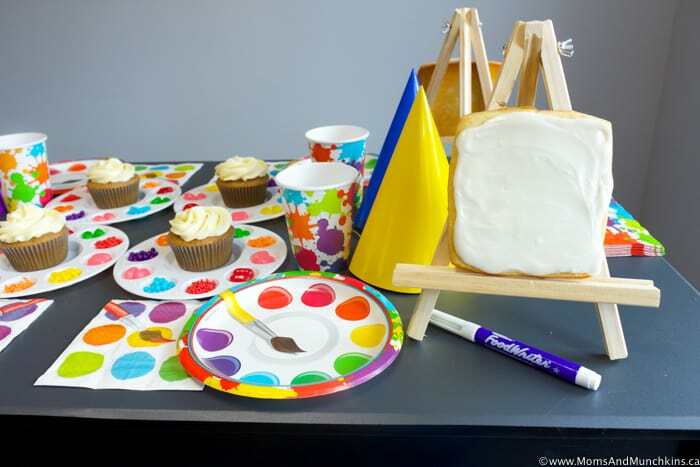 Art doesn’t have to be restricted to paper, paint and clay – the food at the party could be another way to express creativity! 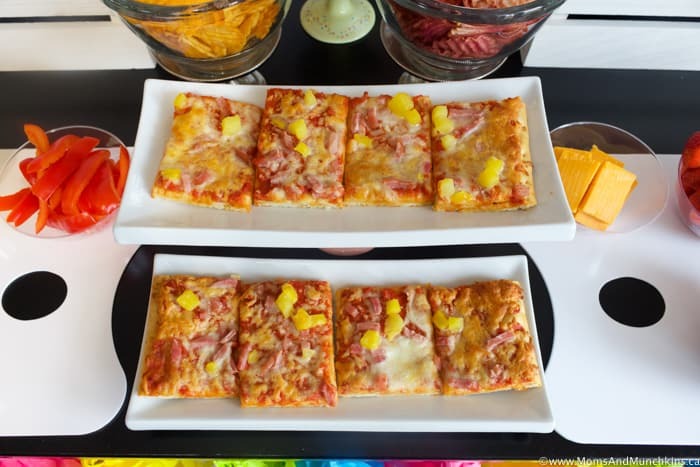 In your own “Starving Artists” buffet, supply the guests with square bread (like flatbread) and a variety of pizza toppings. They can then use this bread canvas to create their own pizza. 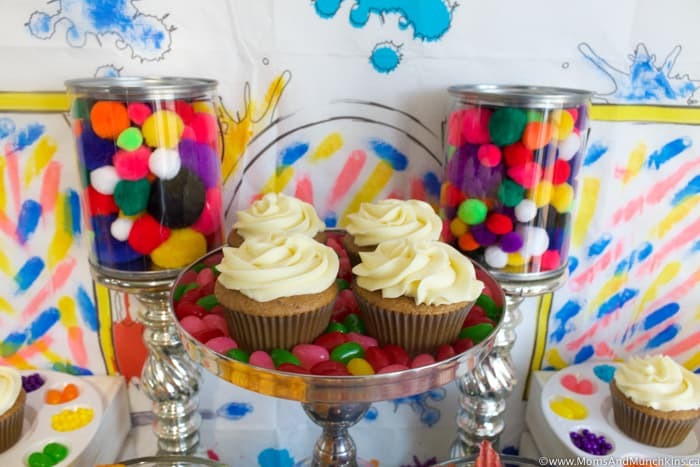 Or set out cupcakes in mini paint palettes with a variety of colorful toppings like sprinkles, jelly beans and other small decorating candies. 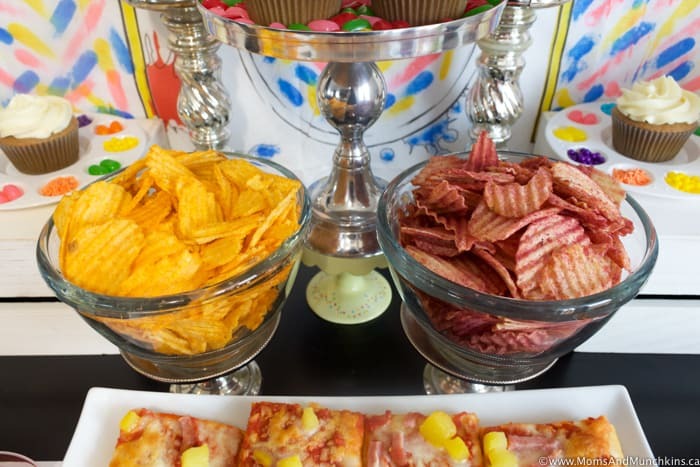 Other easy snack ideas include colorful chips labeled as “Paint Chips” with colorful juices labeled as “Creative Juice”. 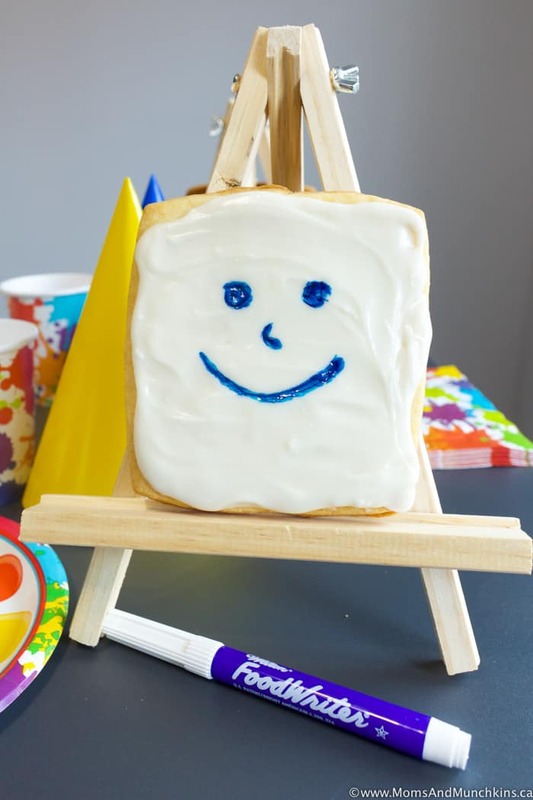 Another fun dessert plus art project includes a cookie painting station with plain sugar cookies (squares with white royal icing like canvases), food coloring pens and sprinkles. You’d want to ice these cookies at least 24 hours in advance so the white icing base has time to harden. 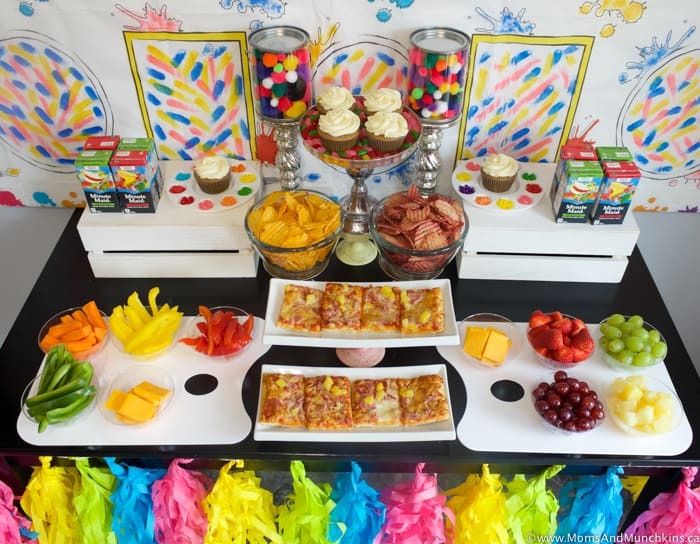 For more creative party ideas, visit our Birthday Party page and follow us on Facebook, Twitter, Pinterest and Instagram. 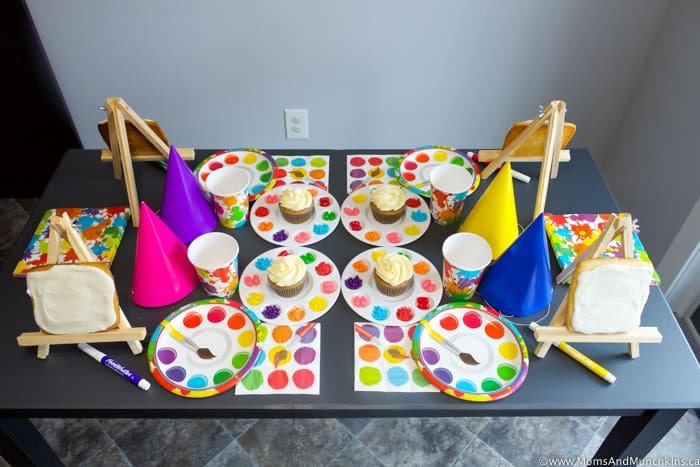 *Disclosure: I was compensated for this post and I am an affiliate with Birthday in a Box. All opinions expressed here are my own. 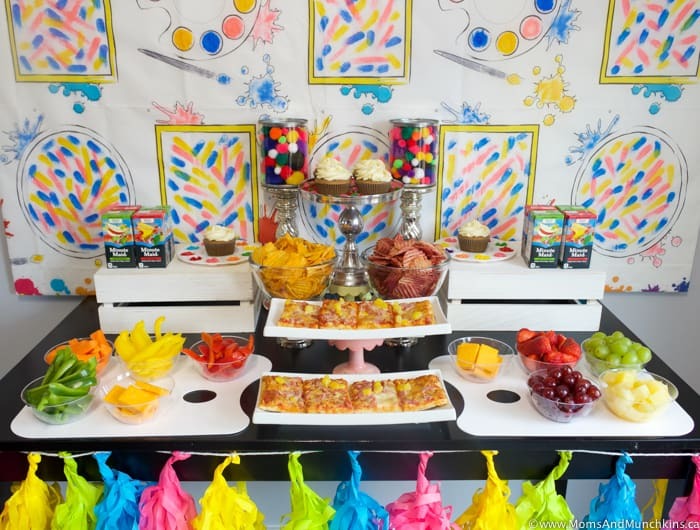 Where did you get these cute printables: invitations, labels, signs? So cute! Hello! They are all from Just A Little Sparkle. 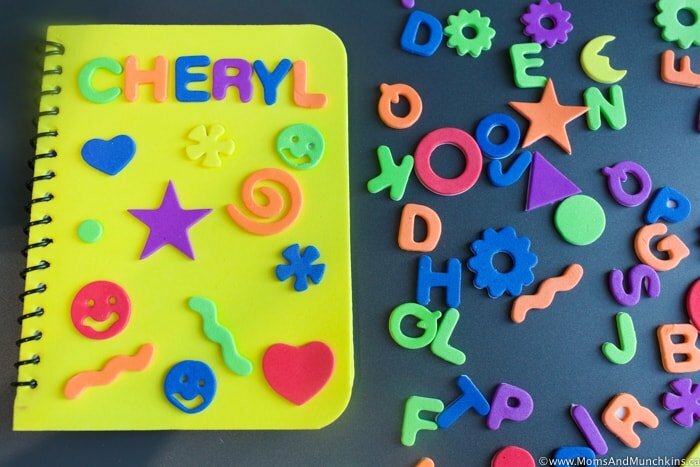 She’s linked up in the post at the end under “Printable Party Supplies”. Can you tell me size for sign label Starving Artist? Hi! The paint palette is from Michaels and the mini easels were from the dollar store. 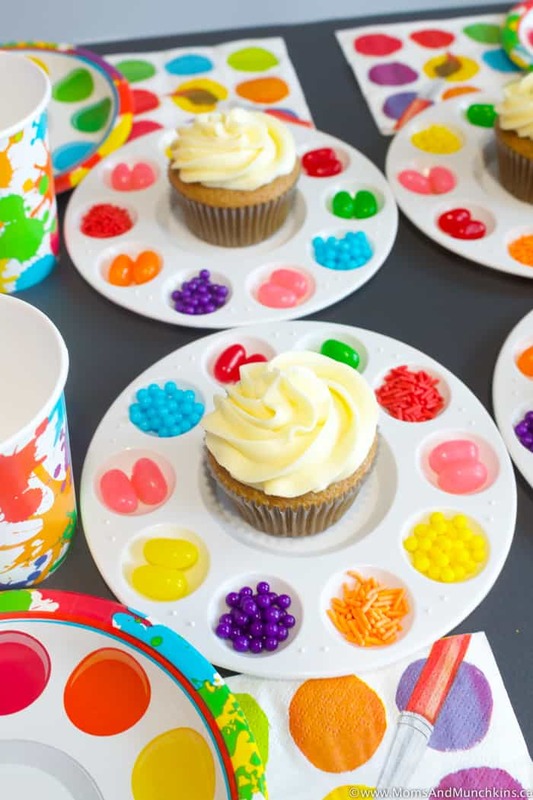 Where did you get the little plates for the cupcakes that have all the different sections around the border. 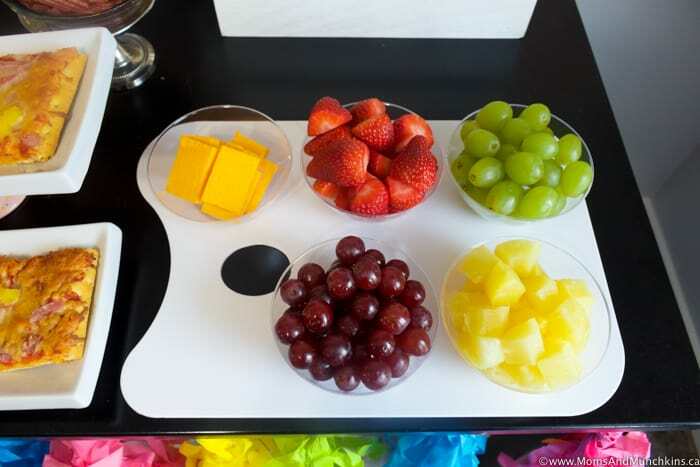 Search paint tray palettes on Amazon. 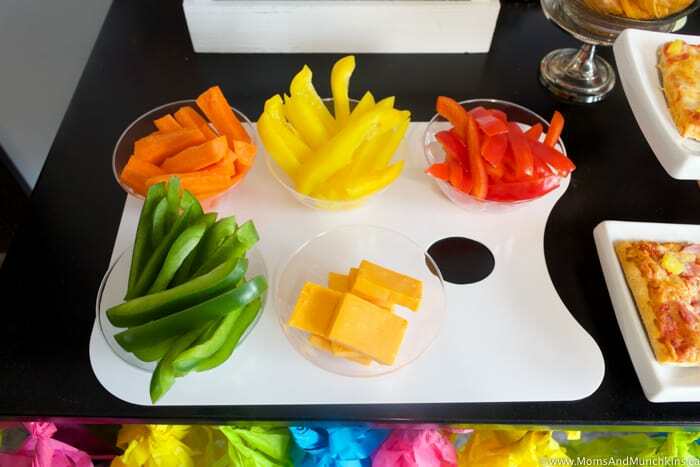 A friend of ours used the same kind for their party!